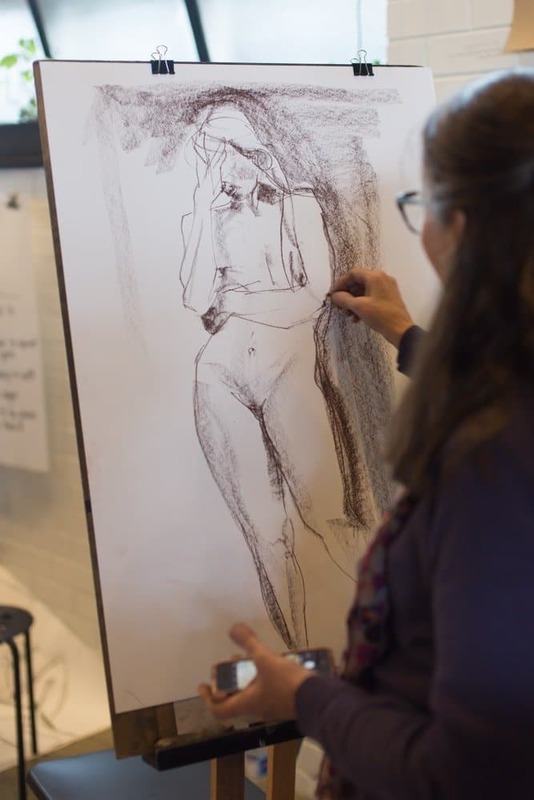 CASUAL LIFE DRAWING with Jade returns Wednesday night 7-9pm! Please reserve your easel HERE. This is Kathy doing a quick sketch, beautiful work! Friday night Life Drawing THIS week! next post: Bookkeeping for Artists workshop THIS Saturday!